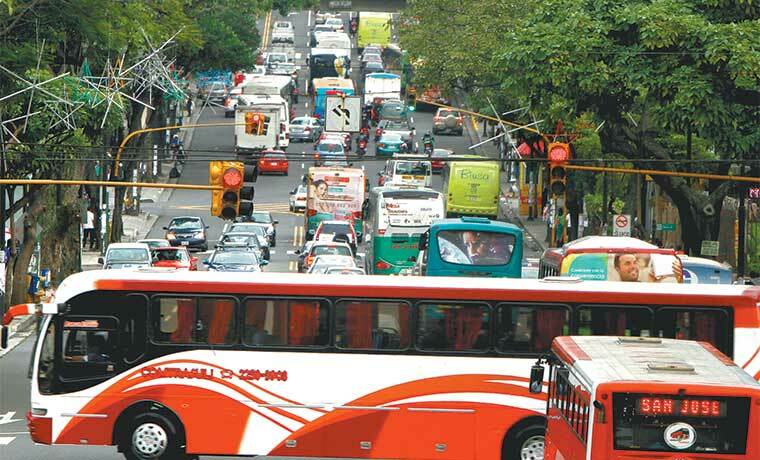 Can’t deny that traffic congestion gets worse, almost by the day, in the Greater San Jose Area – the Gran Área Metropolitana (GAM). Trips of a few blocks can take up to 30 minutes or more. From Heredia to La Uruca/La Sabana can be more than an hour. Try heading into San Jose from the airport on the Autopista General Cañas weekday mornings, where traffic starts backing up at the Cariari and gets worse every few hundred meters. The same on traveling out of the city in the afternoons. 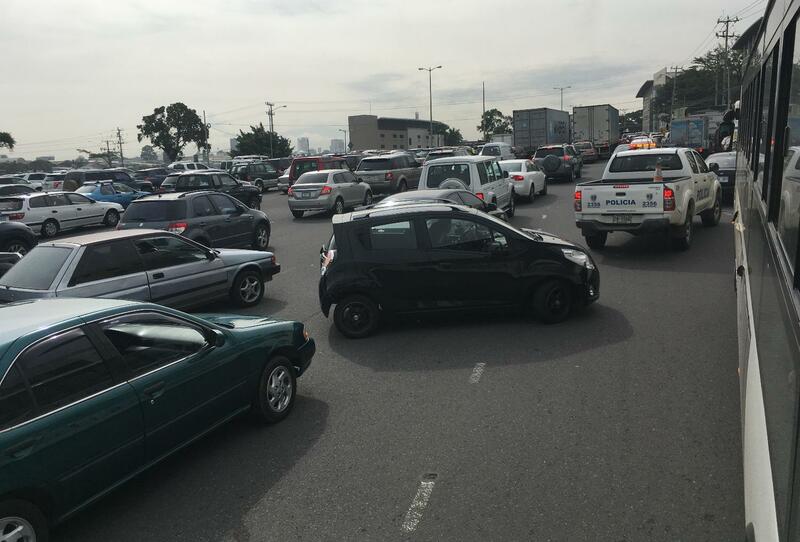 The Ruta 27, between the Escazu tolls and the Circunvalacion is a parking lot on weekday mornings and afternoons. And the Cirvunvalacion is out of the question at any time of the day. Worse, the weekday congestion is starting to spill on to weekends and the morning and afternoon congestion quickly becoming all-day congestion. To avoid major congestion travel has to be planned. Many don’t have that luxury, needing to be on the road to and from work, a meeting, a doctor’s appointment, a delivery. Not planning can result in a “calvario”, a term in Spanish to mean a giant headache. 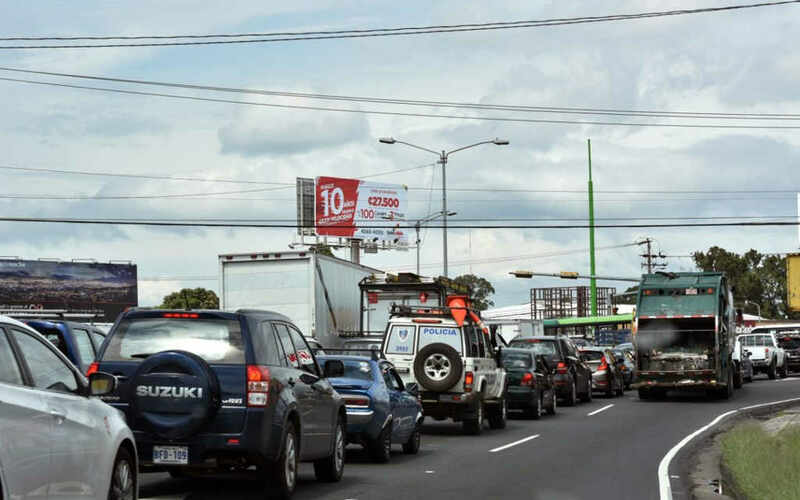 The State of the Nation program – Programa Estado de la Nación (PEN) – has identified the 10 areas with the greatest road congestion in Costa Rica’s GAM. These areas are almost one kilometer in diameter, where several roads with the most traffic are concentrated. The PEN identified the sites resulting from the visualization of data that it defines as the “fruit of the disorderly growth of cities, an inefficient design of public transport and a growing number of private vehicles”. The characteristics of these sites, according to the PEN, reinforces the idea that the real solution to this problem is not found in an expansion of the roads, “but in reducing the use of automobiles, providing conditions for non-motorized mobility and create mass, interconnected and efficient transport alternatives”. “Not only will we reduce travel times, but also the polluting emissions, the high economic costs and the tension generated by the current scenario,” the PEN said on Tuesday in a statement. 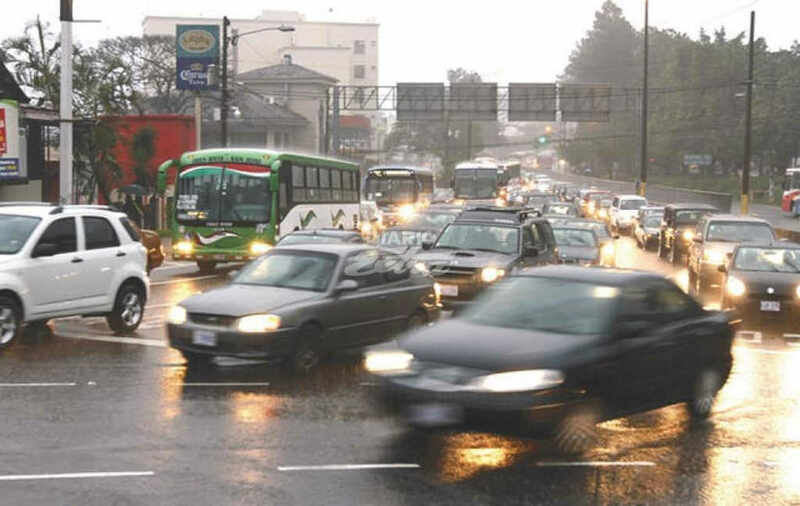 With the support of the computing department of the Ministerio de Obras Públicas y Transportes (MOPT), the PEN used the Waze app database to build the analysis that confirmed the serious problems of movement and loss of time suffered by tens of thousands of drivers daily. The study used 20 million accumulated records during 2017, which allowed determining the hot spots. The PEN discarded isolated congestions caused by temporary traffic conditions. The study revealed nothing new. The hot spots are in densely populated areas and few alternate routes to major routes oversaturated by the rapid urban growth. Add to this the quickly expanding vehicular fleet, especially in private vehicles. Every day more and more cars are added, but few to no new roads being built. Consider this, there are only three major routes into and out the GAM. The General Cañas (Ruta 1), Prospero Fernandez (Ruta 27) and the Florencio del Castillo (Ruta 2), the San Jose – Cartago. The problem is not going away anytime soon, especially in the area of downtown San Jose, Heredia, and Alajuela. These are urbanized areas that makes it almost impossible for big changes in road infrastructure. The research indicates that almost one million people move (one-fifth of Costa Rica’s population) to and from work each day in the Greater Metropolitan Area, moving from where they live and passing through the hot spots to get to their destination. Add to this movement, the growing number of tourists. A trip from the airport to Escazu hotels can take not more than 15 minutes in the evening, but at after 7 am can take up to an hour or more; 30 to 40 minutes during most other times of the day. “When these hot spots trap us, the frustration causes a fantasy: If the government were to build more roads …! This takes the premise that the problem lies in ‘others’ and in ‘a bad government’, and never in ourselves, that we sit alone in the car causing congestnion, while we think about how we want someone to solve it “, explains Leonardo Merino Trejos, Research Coordinator of the State of the Nation Report. The Six Lane “Platina” Bridge Now Open!